By the 27th April it was looking unlikely that the French were going to authorise the crossing. 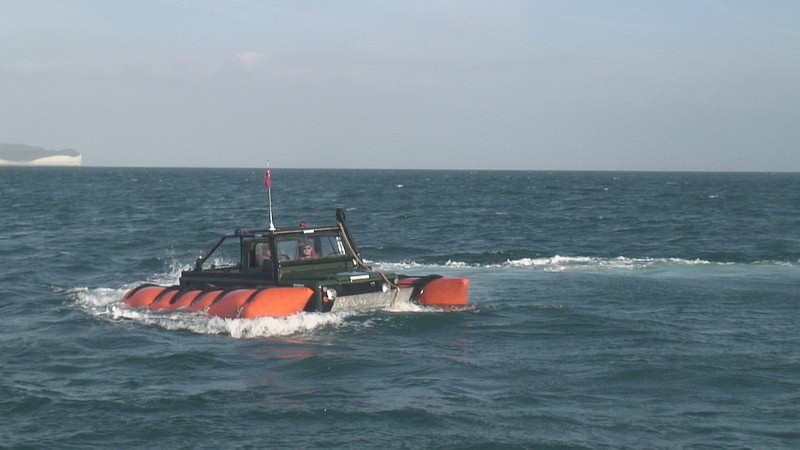 As we needed to undertake more sea trials and had already hired Dobbin we travelled down to Seaford and made a sea voyage. The weather was excellent and we got some really good pictures of the Land Rover in front of the Seven Sisters. 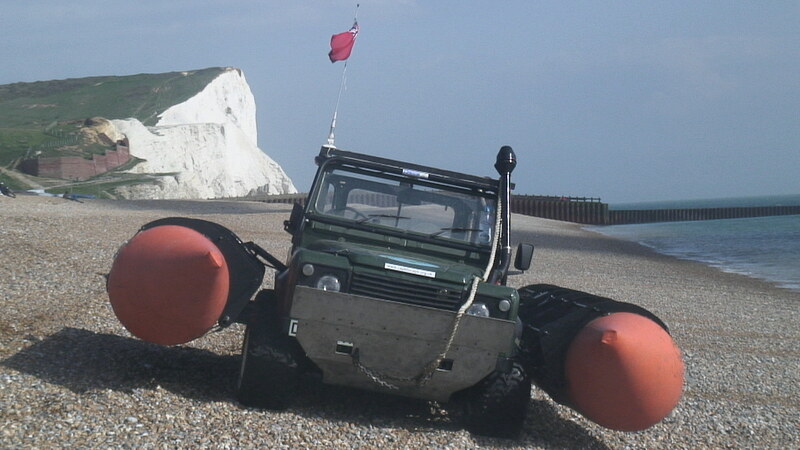 We also learnt a lot about Land Rover capabilities on steep shingle beaches as we spent most of the morning, after our initial voyage, trying to push the land rover up the beach. After 2 hours we decided to go back into the sea and worry about getting out later as we were getting near the time we had arranged to meet the support boat. 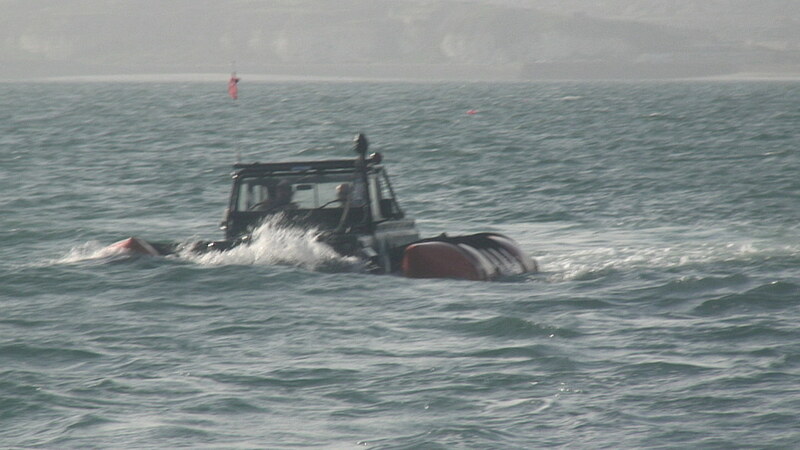 The Land Rover performed very well and overall spent about 3 hours in the sea. We managed to land in the marina on the slipway later on when the tide had come in. 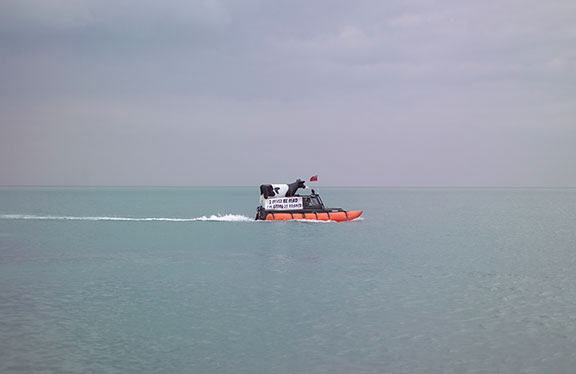 Link to more photo's: Massive Pixels Home Page Click Image Library, sign in then look under "Collections" for "Cape to Cape"
In early spring we initiated a Dover to Calais Channel Crossing by contacting a number of companies involved in organising the documentation and support boats. 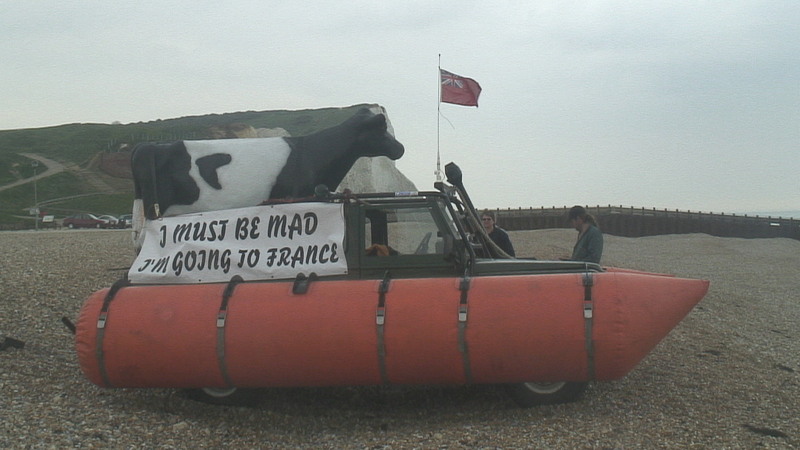 By March we were still waiting for the French to authorise the crossing which by that time we had had the idea of taking a cow in order to celebrate the lifting of the beef ban. 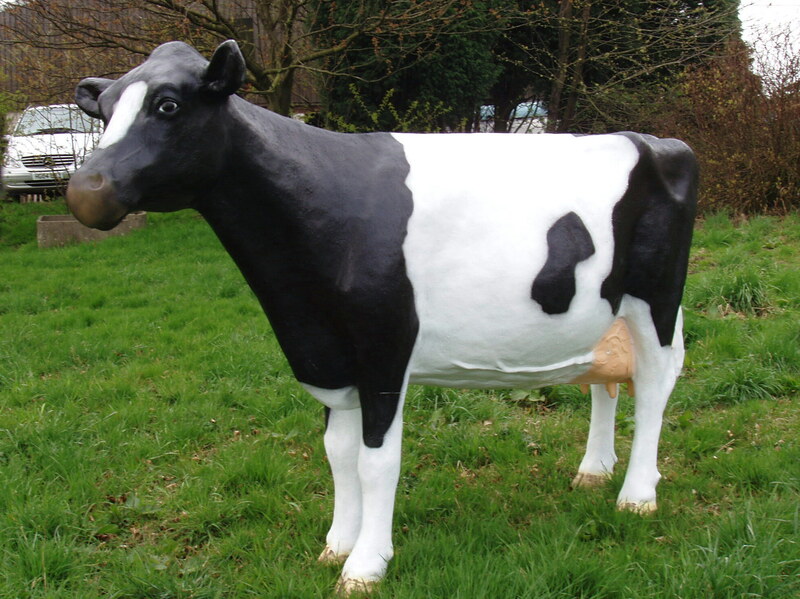 We located a willing cow from Scotland, collected her and nicknamed her Dobbin as she had legs like a cart horse !